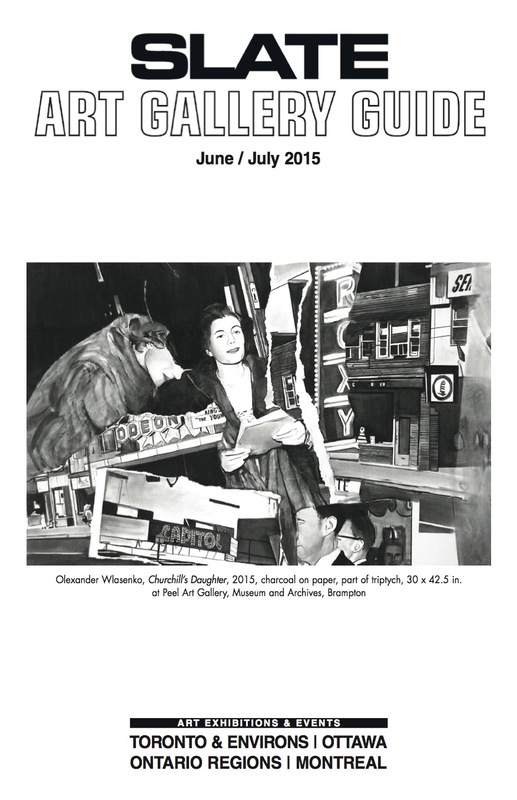 It’s official–the theme of this year’s annual members’ exhibition, as chosen by you–“Secret World”! 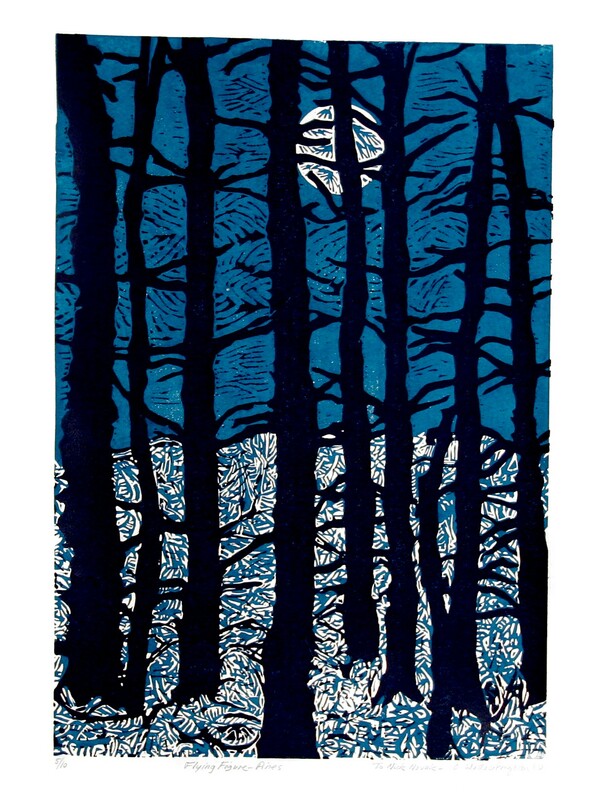 This juried exhibition will run at Station Gallery from November 28, 2015, to January 10, 2016. 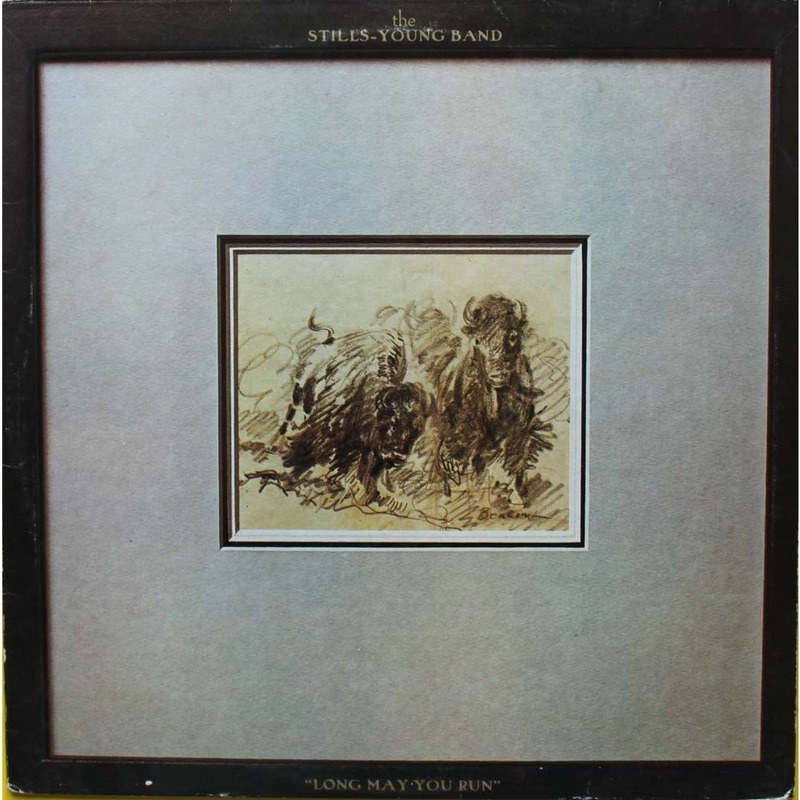 After months and months of searching record stores far and wide, I finally found a copy of the 1976 Stills Young Band “Long May You Run” album at the Courtice Flea Market. What a find–sounds great on vinyl! This time of the year comes filled with memory. As we move toward warmer days, we recall the frigid, snowy winter that’s just passed. Here I recall a 1971 album cover by Bruce Cockburn, titled “High Winds White Sky“. The stark black and white photo captures the spirit of the Canadian singer’s musical journey. I’d recently learned that a Toronto Island bridge inspired the cover. Many Toronto landmarks appear in the 1964 National Film Board feature “Nobody Waved Good-bye” starring Peter Kastner. 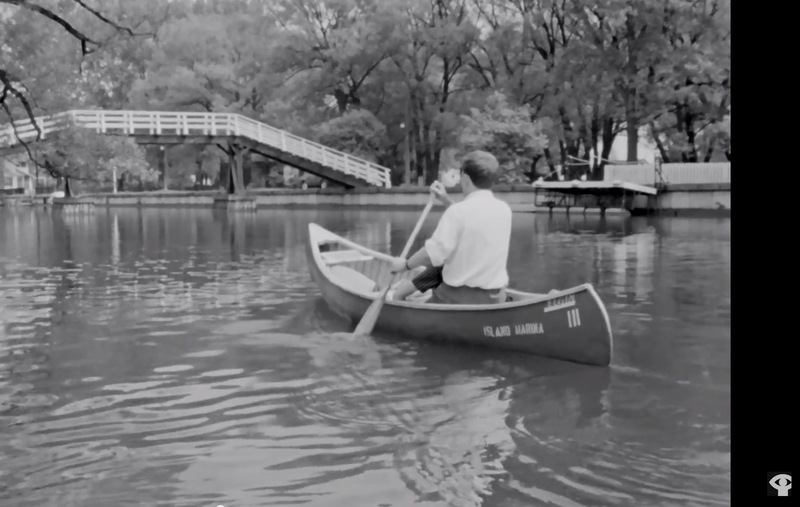 In an early scene, a young couple relax on Ward’s Island and canoe toward the bridge leading to Algonquin Island. 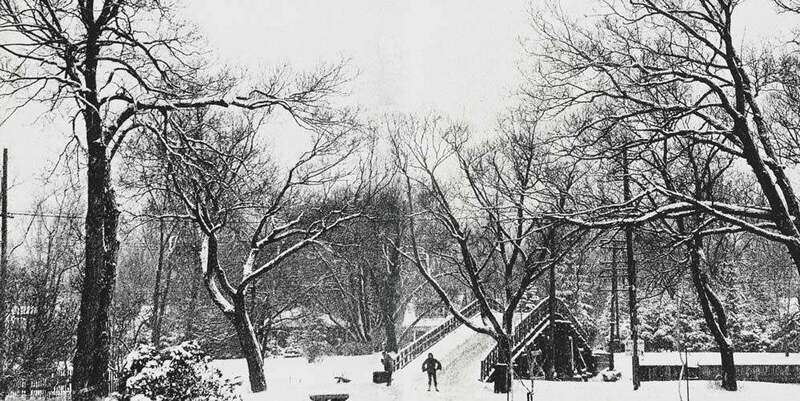 The same bridge pictured on Cockburn’s record can be seen in the background. A bridge for all seasons. This year will mark the 22nd anniversary of Station Gallery’s signature fundraiser–Drawing for Art. I’d like to donate one of my latest drawings. 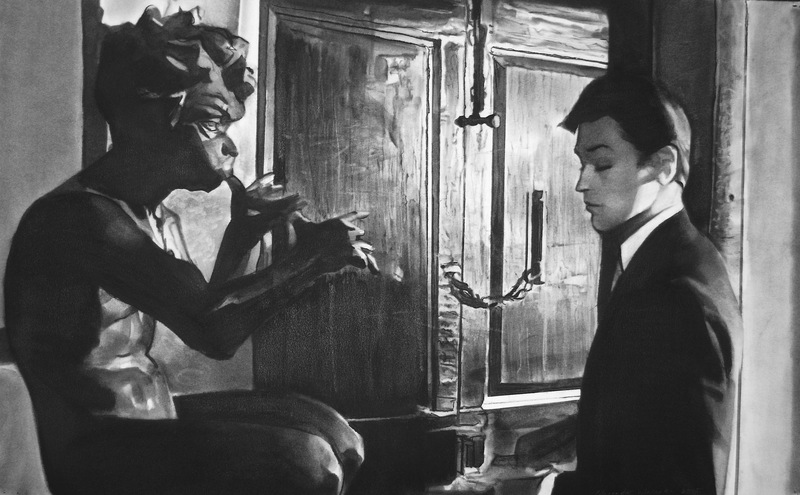 One features the young French film star, Alain Delon next to a mythological sculpture. The other is of Catherine Spaak walking to a window. Which one should I donate to this year’s fundraiser? 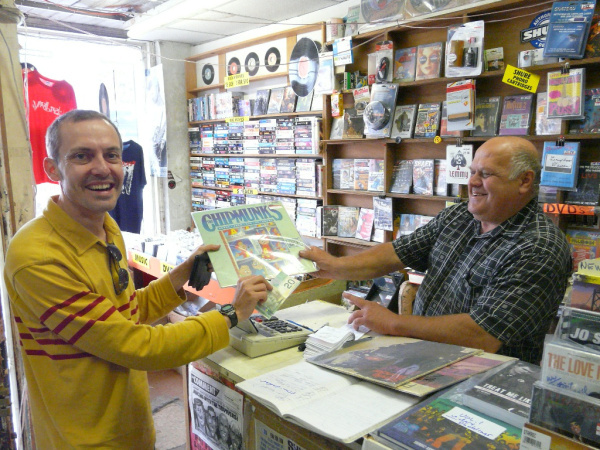 I’ve been to the antique shop in Orono several times. On Sunday, I had a particular feeling of déjà vu. “Where have I just seen this picture?” I thought. It was Fredrick H. Varley’s “Stormy Weather, Georgian Bay” painted in a characteristically Group of Seven style back in 1920. Bold, vivid and breath-taking. In Fred Varley’s “Stormy Weather, Georgian Bay” we see a windswept tree clinging to a steep island of rock. White capped waters echo the turbulence of the sky, as swirling patterns of blue and green paint create a feeling of restlessness. Varley’s energetic brushstrokes convey the force of the wind and ever-changing vitality of nature–as well, perhaps, something of the artist’s own spirited personality. The night before, Kubrick’s 1980 horror masterpiece “The Shining” was screened at the Bell Lightbox. Much of the film was edited and marketed as the “International Version”. Some of the Canadian art references such as Colville’s “Horse & Train” and Morrisseau’s “Flock of Loons” unfortunately fell out of this version. “Get me the Chief, quick. I’ve been shot!” This was the desperate cry of a young telegraph operator on a frigid Friday night in 1914. This week we count down to the hundredth anniversary when Billy Stone uttered his final words. To this day, the case of Billy Stone remains Whitby’s most infamous cold case. The unsolved case of Billy Stone haunts Station Gallery wherever it goes. If only the heritage gallery walls could speak—they would reveal who murdered the 21-year-old telegraph operator that night. This Thursday starting at 7:00 PM, we’ll retrace that fateful evening and recall Billy’s untimely death in an illustrated account. I’ll be joined by local ghost hunters from PROO(f), who will share some curious findings about paranormal activities they’ve observed locally. Join us on this thrilling evening, when we remember Billy a century later! 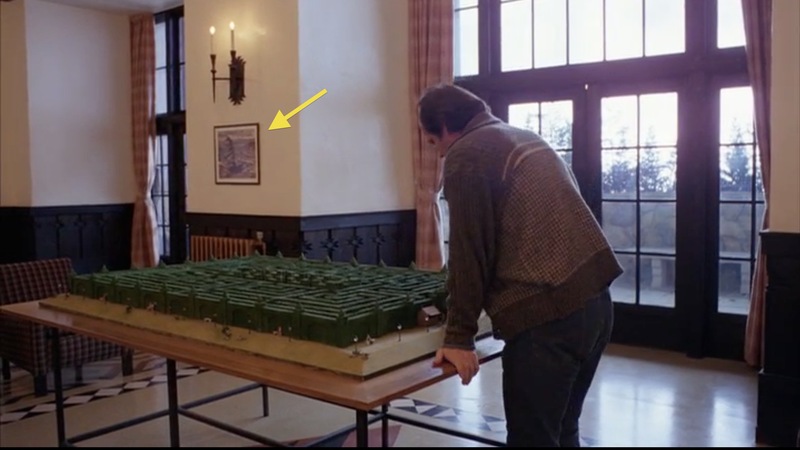 Earlier this week, I had a chance to revisit Kubrick’s horror masterpiece “The Shining”. 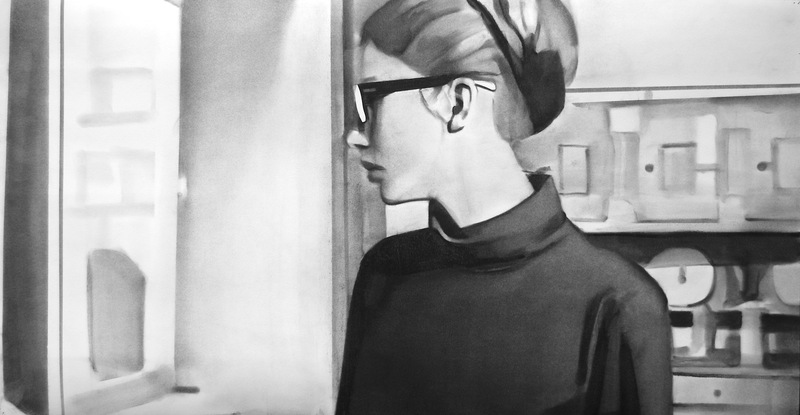 The film makes reference to several Canadian artworks including four Alex Colville paintings, two Norval Morrisseau works, Paul Peel’s “After the Bath”, Tom Thomson and J.E.H. 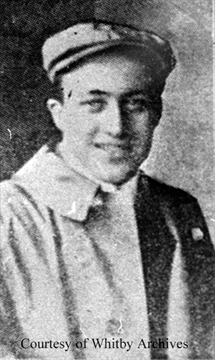 MacDonald. I’m delighted to verify another Group of Seven artist to the list. 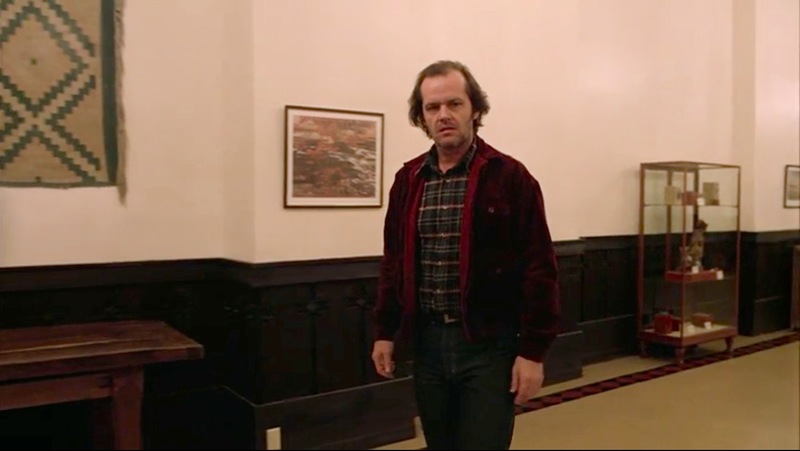 In one scene, Jack Torrence (played by Nicholson) walks down a corridor towards the Gold ballroom of the Overlook Hotel. Before entering the ballroom he stops. 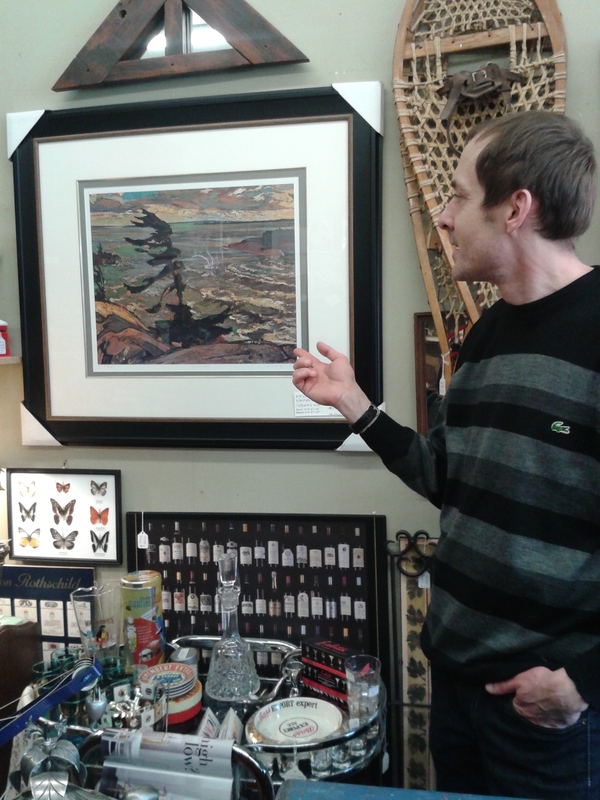 Behind him is a poster reproduction of a Canadian icon, “Red Maple” by A.Y. Jackson. 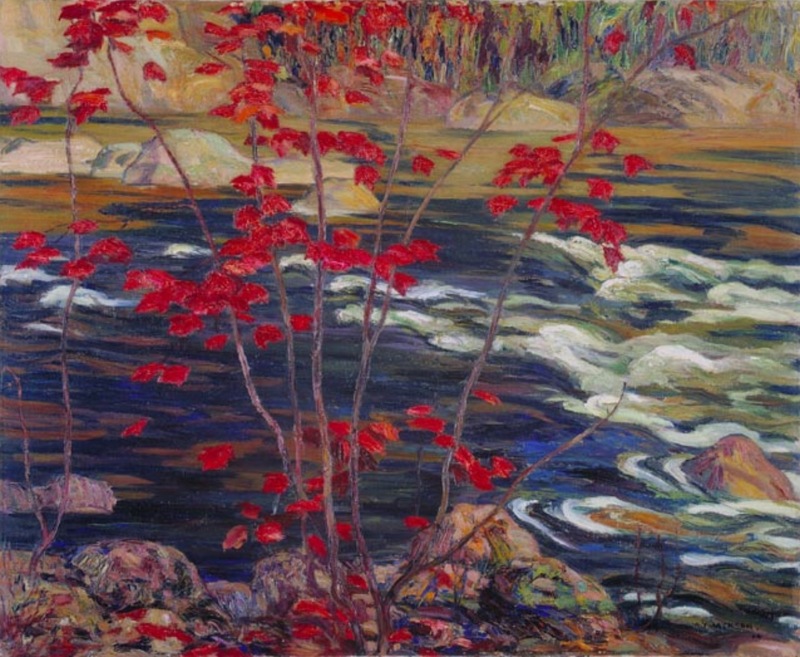 The painting shows a supple red maple on the banks of churning rapids. Some art historians have pointed out the symbolic resonance of the young maple with the forging of Canada’s national identity. At the time Jackson painted this canvas, our young nation had been at battle for months overseas in the Great War. The artist painted it in his Toronto studio in November 1914. This great work marks its centennial this month!